Dit is de eerste keer dat we in kefalonia op vakantie zijn. En we moeten zeggen het is een TOP eiland. Zeer vriendelijke mensen. Toen we op zoek waren naar een restaurant kwamen we, na een aantal andere restuarants te hebben geprobeerd, uit op OSKARS. Na 1 keer daar gegeten te hebben, wilden we eigenlijk niets anders meer. In OSKARS word je vermaakt, de bedienig is fantastisch en zeer vriendelijk. Het meedansen met de griekse dansen is ook top om te doen. Kortom OSKARS daar moet je geweest zijn. For the People of OSKARS, this is the englisk version of the Dutch above. 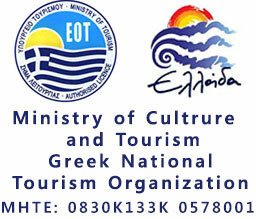 This is our first time to Kefalonia en we must see it is a great island, with friendly people. We tried several other restaurants en we like OSKARS the most. In OSKARS you are being served and enjoyed. The waiters are super friendly and fantastic. The grek dancing is also very enjoyable. To be sort: OSKARS is the place to be!!! The Best all round Restaurant in Lassi by far. Oskar and his family run a fantastic restaurant with very good food and a great atmosphere. More people should try it for a great night out. But as a father of three daughters the waiters are too good looking. Brilliant never will forget any of our experiences,will be definitely be coming back to Oskars,dancing was great fun and the food was fantastic.Very friendly staff made it a wonderful night out for all our family.Oskars is the Best!! This is our first night on Kefalonia and our first visit to Oskars.The food and service was excellent and would recommend to others.We will definitely be back! Thanks for great food and fantastic service,we loved watching you run,we appreciate your value and your kindness.Nice dancing!you really made our Holiday.